Count minutes read to beat last year's total - 8,338 hours read! For each completed reading log, kids will add a Lego brick to this summer's cool creation...what will it be? Read 5 books or for 10 hours to receive a free book, a price pack of coupons from local businesses and a raffle ticket for our grand prize drawings. Get an extra raffle ticket for every additional 5 books or 10 hours of reading! Fill out & turn in a paper slip for each book you read. You'll automatically be entered to win one of our prizes. The more you read, the more chances you'll have to win! Scavenger hunt all day; Steve Blunt & Marty Kelley Concert at 11:30 am. Pick up reading logs at library service desks! 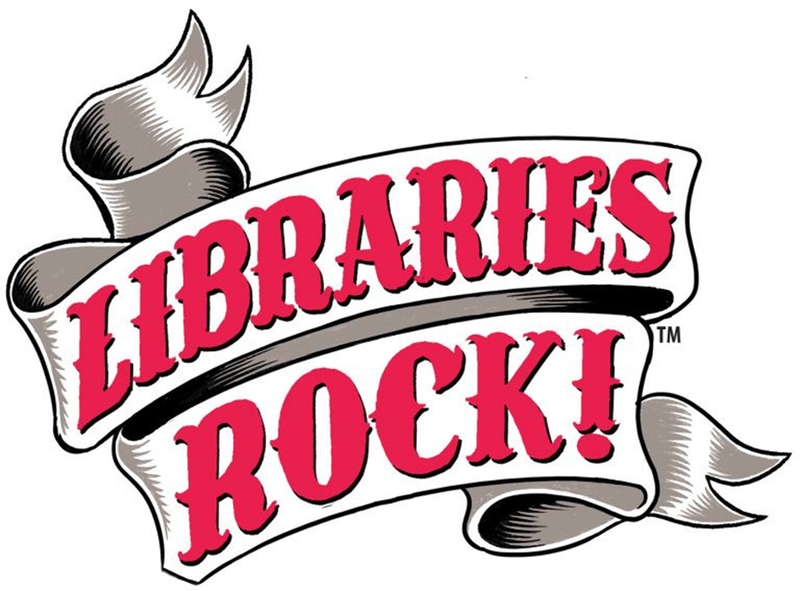 "Libraries Rock" is sponsored by Memorial Hall Library, the Friends of Memorial Hall Library, the Massachusetts Library System, the Boston Bruins, and the Massachusetts Board of Library Commissioners. Other sponsors include Andover Bookstore, Bertucci's, Chipotle, Domino's, McDonald's, Quiet Pleasures Jewelry, and Yella Grille.